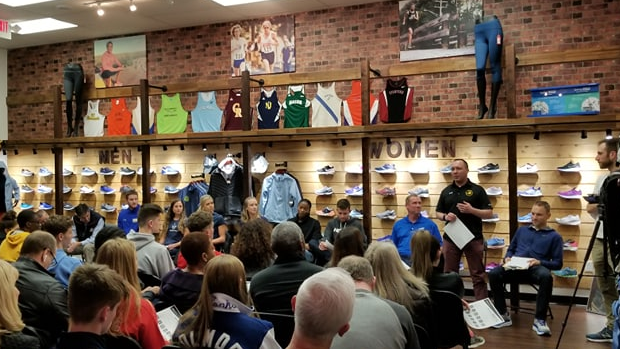 At the end of March Runner's High in Freehold, NJ hosted a College Night Panel where coaches and successful athletes alike who have gone through the recruiting and college choice process answered questions for young athletes. The night was split into two parts. The first answered the early recruiting questions and how to choose the school for you as a student and athlete. The second focused on what happens after you've made that college choice, what the lifestyle is like, and more advice. The questions below will be placed on the video at all times so you can skip around easily, they are in the order they appear in the video. I will come back and add time markers as well once the second video has released. 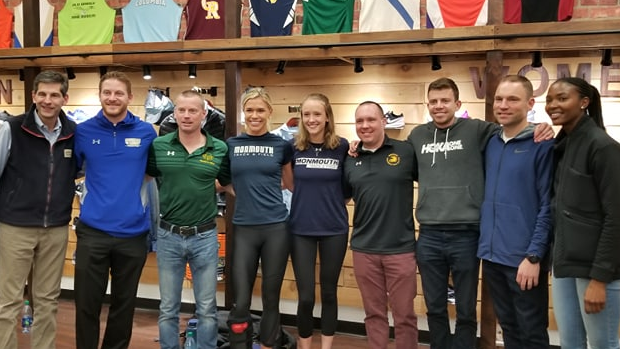 The panel included: Travis Mahoney, Amanda Marino, Allie Wilson, Kimarra McDonald, Megan Lindstrom, Freehold Twp Coach Todd Briggs, Holmdel Coach Damon Godfrey, Red Bank Catholic Coach Rob DeFilippis, Monmouth Regional Coach / Guidance Counselor Danny Rapcienski, Georgian Court University Coach Mike Murawski, and Monmouth University Coach Joe Compagni. Talk about being a prospective collegiate student athlete, and how do you know that running is what you want to do? From a coach's perspective, how do you know running in college is the right thing for your student athlete? Difference between Divisions - great to have both MU and GCU represented. What are the implications between divisions - different level of commitment? How much time is committed? Academic requirement differences between divisions? To college coaches - What is it that college coaches are looking for? More well rounded student athletes? Academics? A kid that just does one sport and that is it? Coaches - when should a student athlete be considering contacting schools? What is the best means of communication with coaches? How to get a coaches attention? E-mail? Prospective student athlete form? How does a student athlete differentiate themselves to stand out when reaching out to coaches? When are coaches allowed to communicate with student athletes? Parents involvement - what level of involvement should a parent have along the way in the recruiting process? Parents reaching out to coaches directly? Student-athlete taking the initiative vs the parent taking the initiative? Now with a list of potential colleges that the prospective student-athlete has, what is the process and time frame of applying. When should you start taking the SATs? Does a school get all of your scores? Do they pick your highest? Different types of enrollment - Early decision, early action, regular decision? What is the financial ramifications to applying early decision? Is there any benefit with applying early and getting it done with? Coaches pressuring you into applying early so you are fully committed when accepted? Scholarships - What is the scholarship process? How is the amount of money determined? X number of scholarships per team at a school? Does the divisions vary? Academic scholarship vs athletic scholarship? How did scholarship money affect your decision on where you ended up for school? Is that a starting point? Or is money something that comes up along in the process? Are scholarships guaranteed? Can a college take away my scholarship based off of performance? How much pull does a coach have in getting you in, getting you financial aid? Questions and video for this portion of the night will be posted soon.